Take a look around the city and chances are you will see some work from students of the Advanced Technology Center (ATC). This spring, ATC students have been given the opportunity to create designs for a host of high-profile projects. 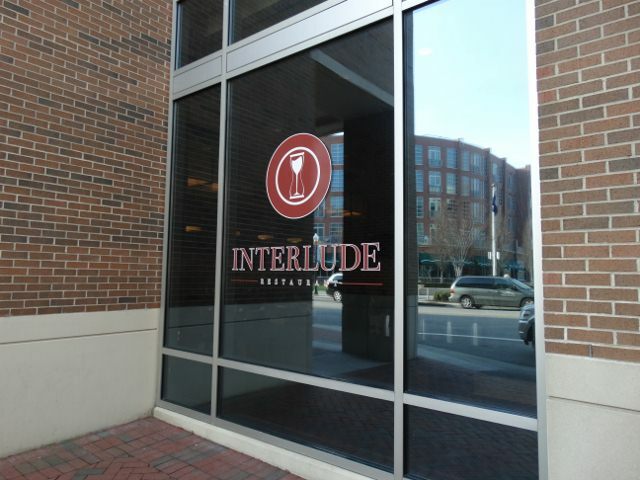 Digital Design II students had a chance to compete for the logo design of the new Westin Virginia Beach Town Center restaurant, Interlude. After learning about the mission of the restaurant and the customer, 20 students submitted designs for consideration. A panel of Westin judges convened, led by David French, general manager of the Westin Town Center. After deliberation, the panel selected the graphics designed by Megan Trexler and the text from Ashley Kwon. 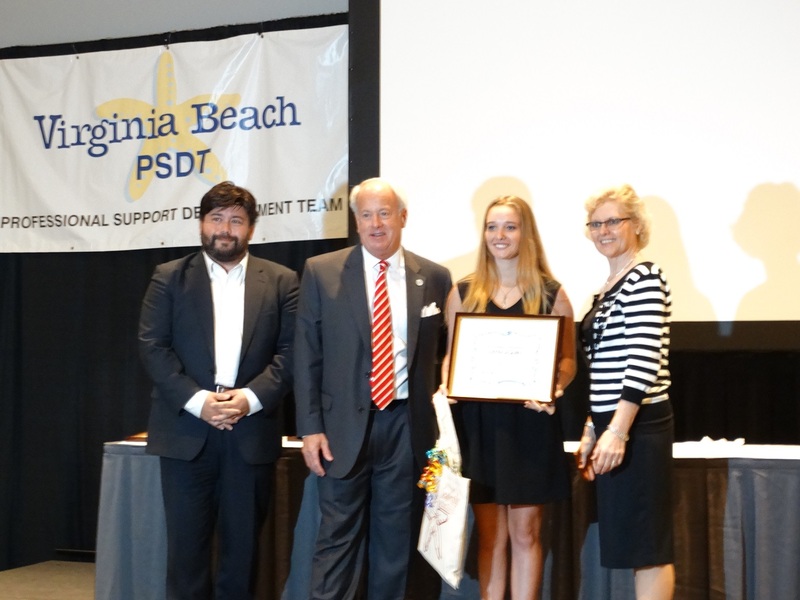 The same Digital Design II students were also tasked with designing a logo for a swag bag for the City of Virginia Beach Professional Support Development Team (PSDT) Day Conference. The PSDT conference is a City of Virginia Beach training course. Layne Alkire won the competition and was honored by Mayor William Sessoms at the conference. 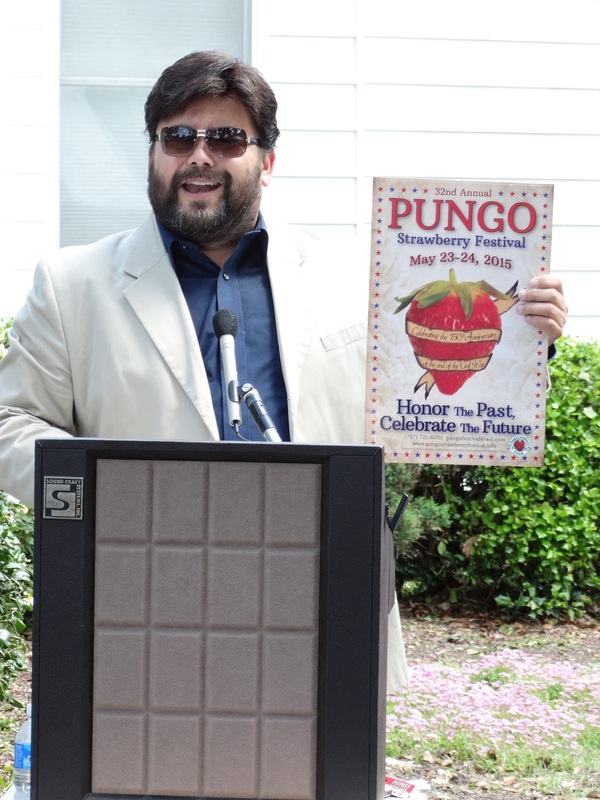 Finally, as the annual Pungo Strawberry Fest takes place this weekend, the poster for this year’s festival was designed by ATC student Collin Graham. Lee Troxell, Graham’s teacher, unveiled the winning posted and Graham was honored at pre-festival press conference held in Pungo. Keep your eyes out while around the town, and see if you can catch some of the work done by ATC students. My daughter has loved being in Mr Troxell’s Digital Design and Digital Design II class. I remember the day she got accepted and was SO EXCITED she has loved every day and is now graduating a certified Digital Designer alon with her advanced diploma from Kellam. Great program!